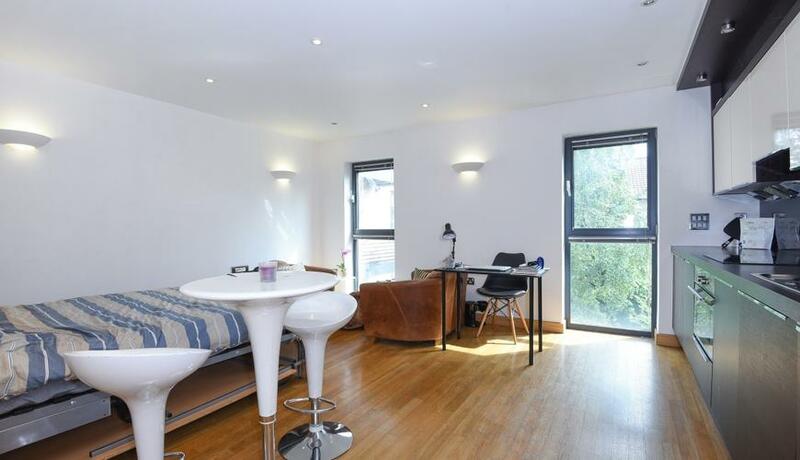 Stylish studio flat to rent in this smart development with concierge and gym facilities. Offering ample space with a fully fitted kitchen & excellent natural light. Available furnished. Superbly located and well presented studio apartment on the first floor of a modern development. This beautiful flat has been completed to very high standards including stylish contemporary furniture and also offers lots of space and storage. Drayton Park is ideally located moments from the local amenities of Highbury Barn and Holloway Road, while the vibrant boutiques of Upper Street are within easy reach. Arsenal underground station and Drayton Park rail stations are moments away.